The story of the most winning team in recent years in the world has become a book, written by journalist Andreia Santos, who accompanied the team since the beginning. 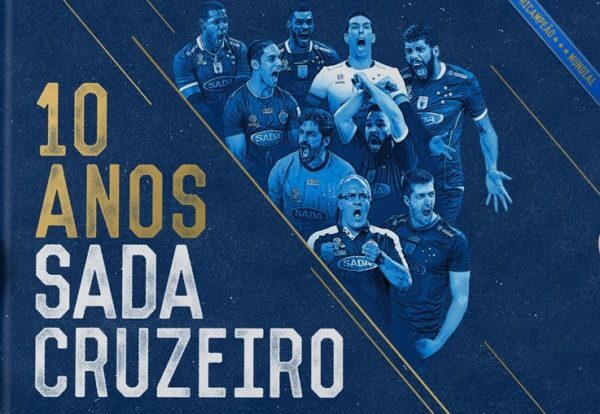 The work, which chronicles the first decade of Sada Cruzeiro, from 2006 to 2016, presents and describes the trajectory of the most winning team in the history of Brazilian volleyball and shows the rise of the team which emerged small and became the best team in the world three times. With great characters who made history wearing the blue jersey, the book shows the parth of a winning cast on and off the courts, who built perfect seasons and became the “Champion of Everything”, reaching striking numbers. From 2010 to 2016, there were 30 championships, 28 finals and 24 trophies raised. The special edition has 176 pages, unpublished images, testimonials and the behind the scenes of the team’s trajectory.